Add motion to your sound! “Immersive technology” has become a major focus for game developers, especially with all the VR solutions coming to market recently. We believe that this evolution is only just in his infancy and will take the lead in the gaming market in no-time. 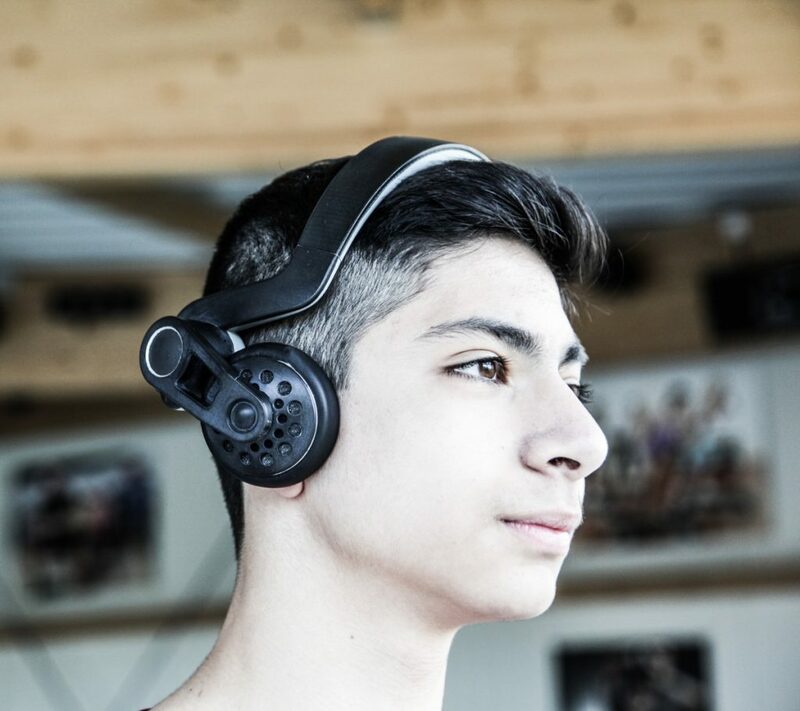 We have developed and built a haptic-tactile* dynamic motion simulation headset that makes it possible for gamers to « feel » the digital world: you can hear ànd feel every sound and movement around you in the game. 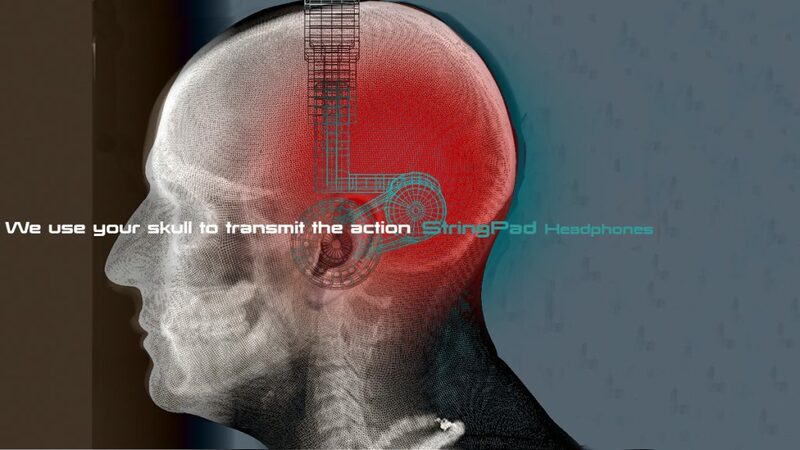 StringPad technology combines dynamic speaker drivers and built-in bone conductors. A specially designed two-way amplifier emits two different signals: one for the sound and one for the vibes, making it possible to adjust both separately. Gunning your way through your favourite game is much more satisfying when you feel every shot fired from your rifle like a jarring vibration to the back of your head. 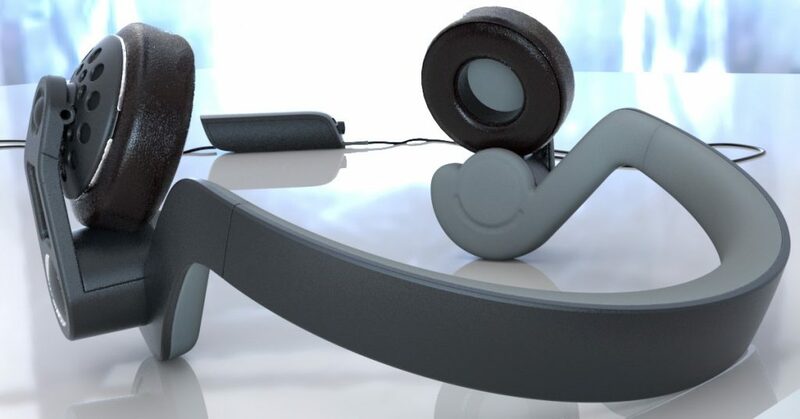 StringPad motion simulation headphones have a comfortable design. They are easy to wear, well-padded and do not apply tension to the sensitive parts of your head or ears. The speaker drivers in the front are supra-aural (on-ear), they give you that more natural “open” sound. The bone conduction driver coils behind the ear give no pressure on the ear canal and simulate an enhanced subwoofer bass feel. We have not only created full-range frequency response and hi-fidelity sound, we also created a portable motion simulator. StringPad only needs a standard 3.5 mm audio jack to work and thus, it’s compatible with almost all devices, such as TV’s, tablets, smartphones, VR devices and gaming platforms. Now you can watch video, listen to music and play games enhanced with tactile feedback and experience your action sequences with heart pounding tactile effects. StringPad was an original idea of Patrick Villas, who created a Belgian start-up company with Jean-Pierre Geelen, both creators of multiple designs. 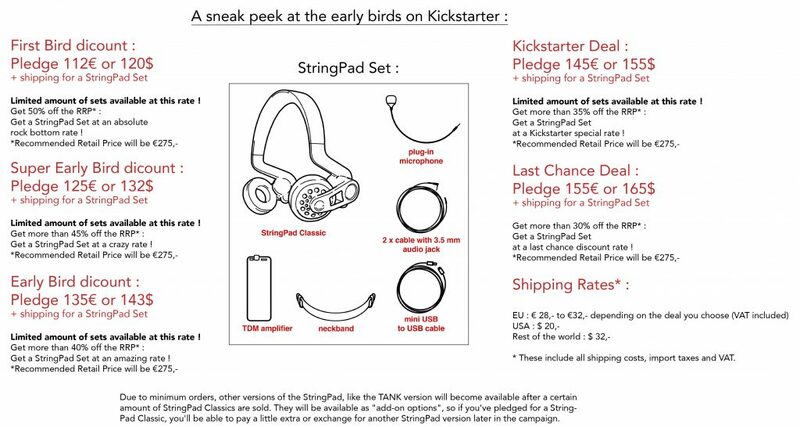 StringPad will be launched through a Kickstarter campaign starting early 2017, discounted early bird prices start at €112,- / $120,- + shipping. The Facebook page has generated over 3.5 million views, has over 3.600 likes and posts that have been shared more than 1.300 times. * Haptic / Tactile feedback (or haptics) is the use of advanced vibration patterns and waveforms to convey information to a user or operator. The word ‘haptics’ is derived from the Greek phrase haptikos ‘to touch’.